Spring is here and with summer just around the corner, it’s time to get back to eating healthy. 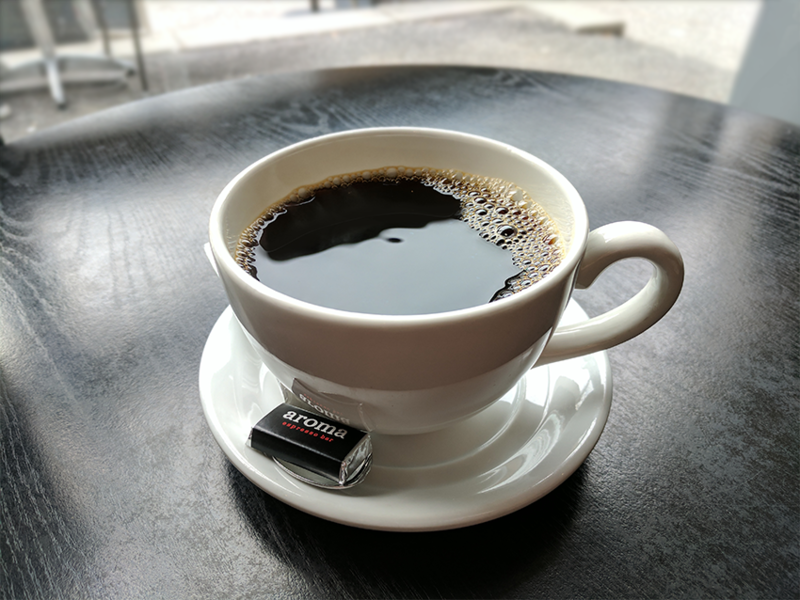 Aroma Espresso Bar has always been our go-to spot when looking for a quick and healthy meal. 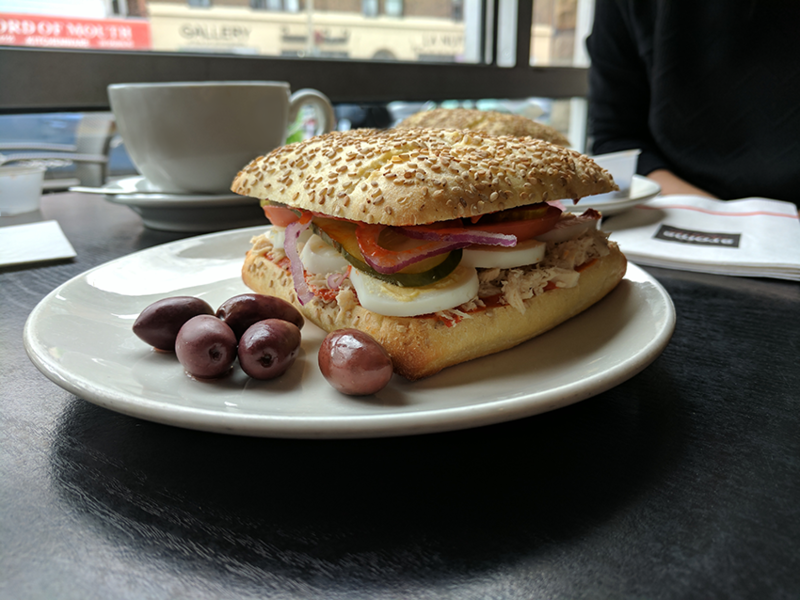 Their spring features include fun new items like the Harissa Tuna Sandwich & Spirulina shots (add-on option to drinks) as well as an update to a classic, the Warm Grilled Chicken Salad. This sandwich features harissa, a Tunisian spread made from aromatic hot chilis & spices along with a new sesame semolina bun. The harissa adds a spicy & tangy twist to the sandwich which also includes tuna, hard-boiled egg, tomato, red onion & pickle. Spirulina is an algae that is high in protein and packed with antioxidants, vitamins & nutrients. It’s a superfood that’s growing in popularity for it’s many health benefits. Typically found in powdered form, Aroma does things a little differently and offers it in fresh-frozen form. For $1.95 you can add it to any smoothie, slush or juice beverage. I would suggest adding it to their Ice Lemon Mint, which has always been a personal favourite because it's use of fresh mint leaves. One of Aroma’s classic items has now been upgraded. 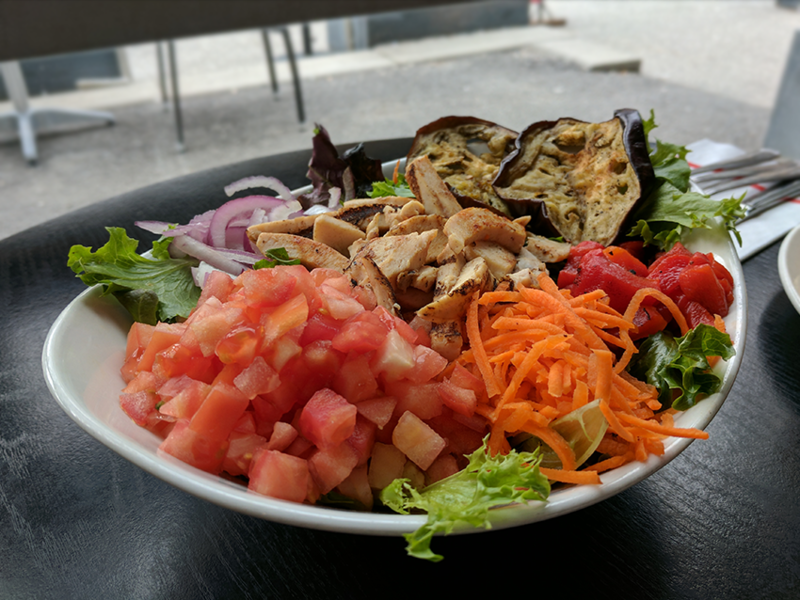 In addition to the grilled chicken breast atop a bed of mixed greens, tomatos, carrots & red onions, the new Warm Grilled Chicken Salad now comes with roasted garlic eggplants & red peppers. The best part: the price is the same. 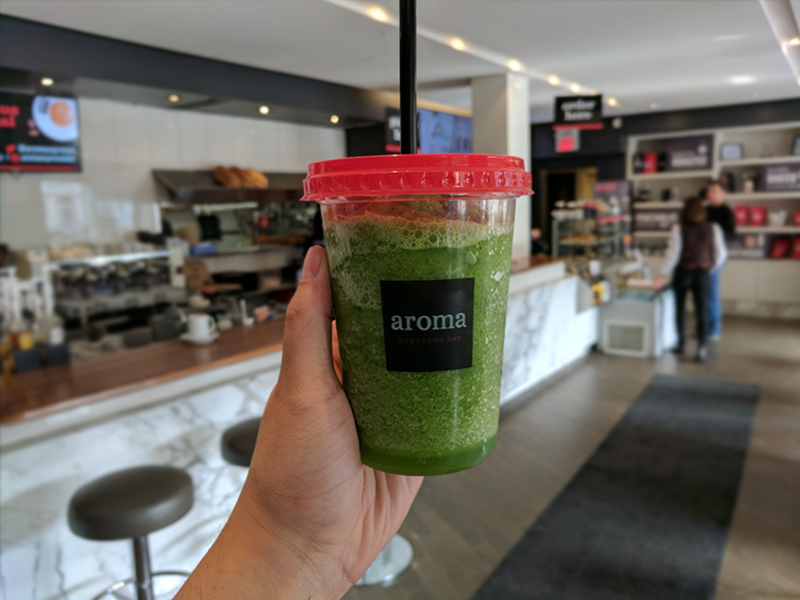 We want you to try out these new menu items too, so we’ve teamed up with Aroma Espresso Bar to give away a $50 Aroma Giftcard. See below for contest details. For 1 entry: Tell us which item you’re most excited to try off their spring menu. The contest will run from Thursday April 20th to Friday April 28th – 2017 12:00 AM EST. Only 1 entry allowed per person. The winner will be notified by direct message (on facebook) and must respond before the deadline indicated in the direct message. Failure to respond in a timely manner means that another prize winner will be chosen.